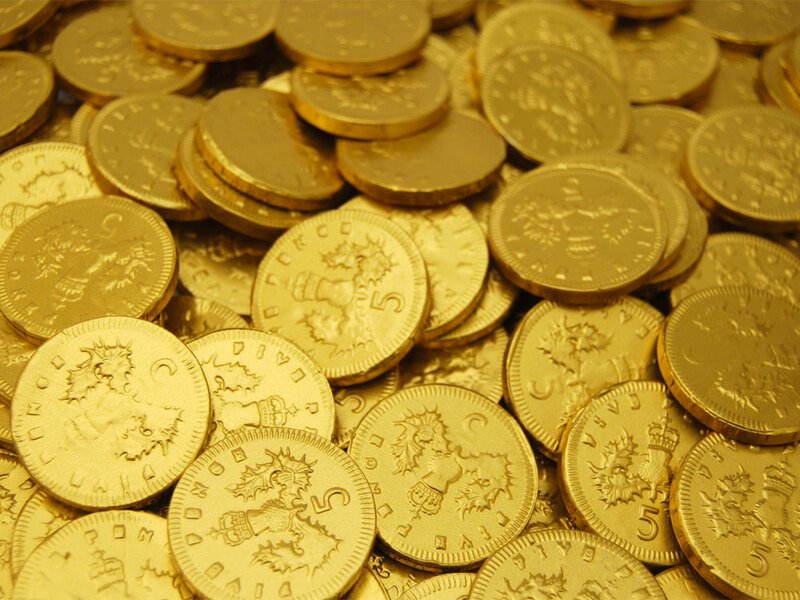 Chocolate Coins are the age old Christmas favourite. They are perfect for themed parties and events. 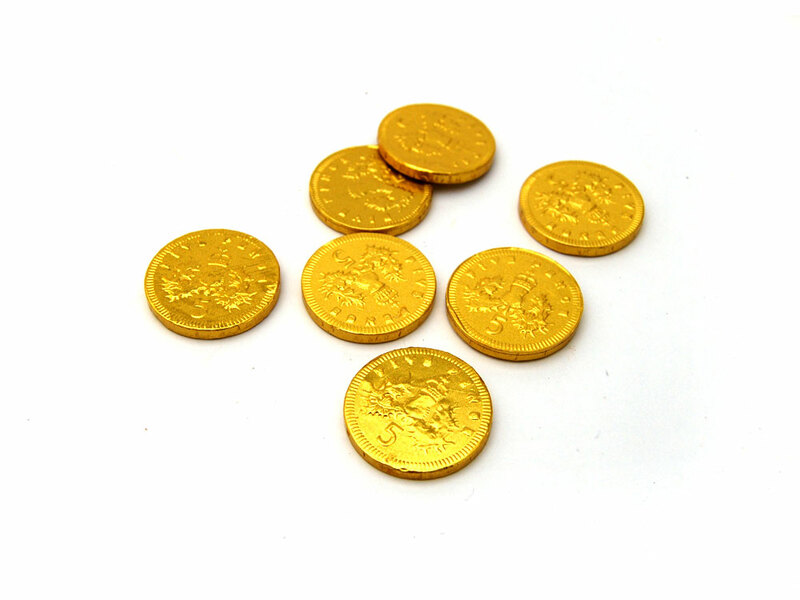 Also good to give to the biggest 'Scrooge' at Christmas, or you could scoff them all for yourself at a birthday party, a pirate themed party or maybe just as a light snack from the glove compartment in your car. Anytime, anywhere they taste utterly heavenly! Sugar, Cocoa Butter, Whole Milk Powder, Cocoa Mass, Emulsifier, Soya Lecithin, Flavour: Vanilla, Cocoa Solids: 28% Minimum, Milk Solids: 14% Minimum. Allergens: Milk, Soya.